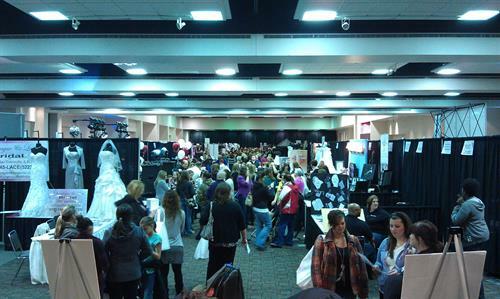 The Gateway Wedding Show features many different vendors that can help couples personalize their wedding. For the couples that just got engaged, the show will feature everything they need. For the couples who are just looking for fresh ideas and inspiration, there will be plenty of new ideas on display. The Gateway Wedding Show takes the stress out of your wedding planning! In just a few hours, you can meet more wedding businesses than you could visit in a month. We bring you a face-to-face sampling of virtually everything you'll need to plan your perfect wedding! Any questions please contact Ashley Pfitzinger, Show Producer at apfitzinger@gatewaycent.com or by calling 618-345-8998.